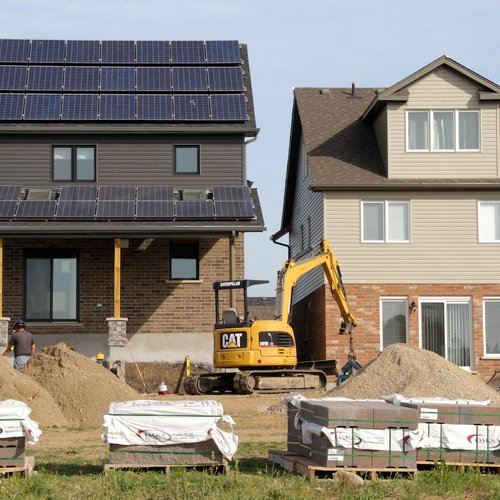 A test community in California will give utilities, builders, and state regulators a chance to see how net-zero houses equipped with photovoltaic arrays and batteries for storage can be integrated into the grid. 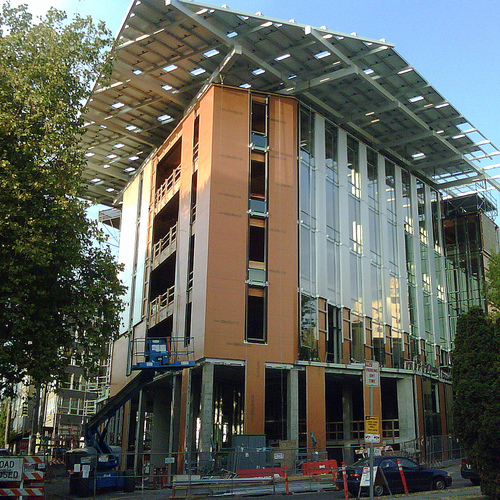 California is heading for a 2020 adoption of the net-zero standard for new residential construction. 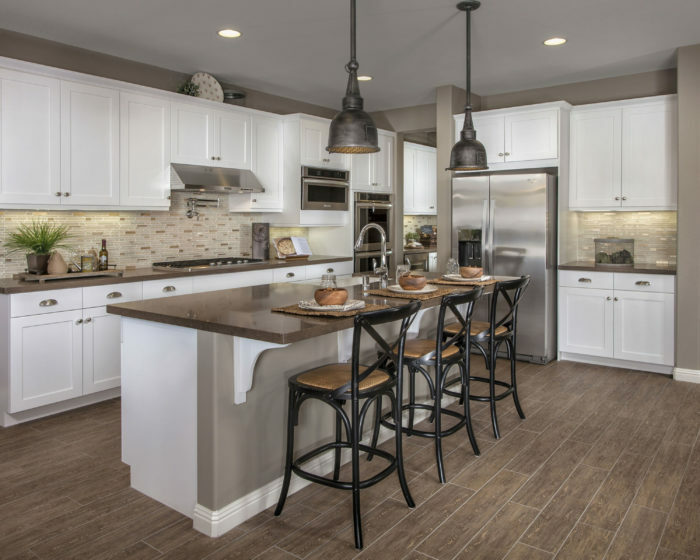 Image Credit: Meritage Homes Net-zero houses at Sierra Crest range in size from 1,936 sq. ft. to 2,915 sq. ft. and cost between $389,000 and $432,000. A new subdivision 50 miles east of Los Angeles includes 20 net-zero energy homes that will help California builders and electric utilities get ready for new residential efficiency requirements that take effect in 2020. 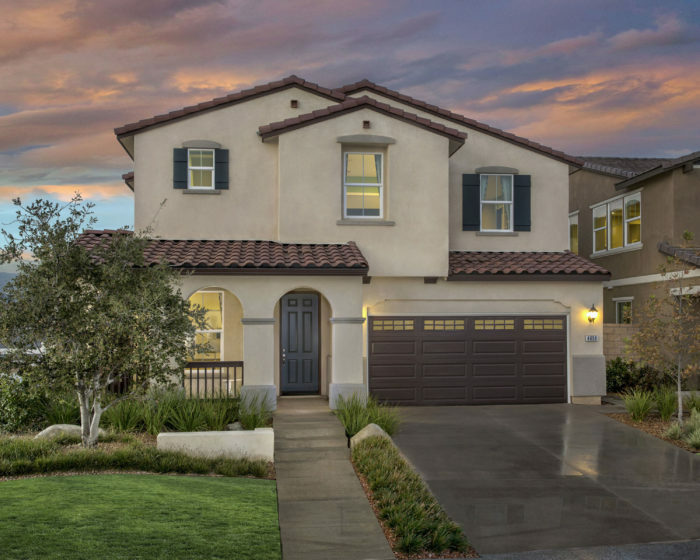 The Electric Power Research Institute (EPRI), which is leading the effort, says that the Sierra Crest development in Fontana, California, is the first net-zero energy community in the state. The 20 net-zero houses are part of a much larger subdivision being built by Arizona-based Meritage Homes. 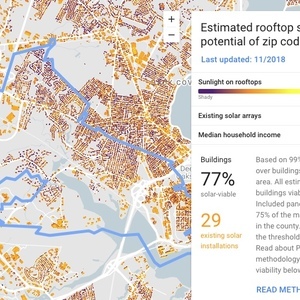 The houses will help the California Public Utilities Commission and others evaluate how clusters of net-zero buildings equipped with photovoltaic (PV) systems can be integrated onto the grid most effectively. In 2020, all new houses in California will be required to produce as much energy as they use on an annual basis. 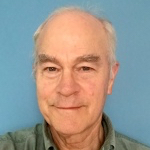 Sierra Crest is designed in part to proving the concept is workable, says Clay C. Perry, a EPRI spokesman. Other project participants include BIRAenergy, Itron, and Southern California Edison. C.R. Herro, vice president for environmental affairs at Meritage, says there are 187 lots at Sierra Crest, divided into three communities. The net-zero houses are split into two groups, one group in the “Grand Canyon” neighborhood and another 11 homes clustered in the “Yosemite” neighborhood. Meritage, Herro said, is the eighth largest homebuilder in the U.S. and constructs some 8,000 homes per year, principally in warm weather parts of the country (Fontana, for example, is in Climate Zone 3). The company has focused on energy-efficient construction over the last six years and now makes solar and net-zero performance available on every home it builds, anywhere in the country, he added. 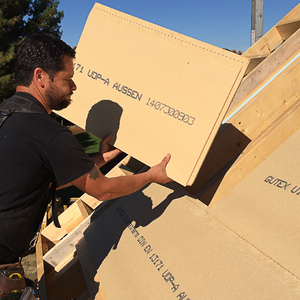 Advanced framing techniques with 2×4 walls that are insulated with a continuous layer of R-5 polystyrene on the outside of the walls, and stud cavities insulated with open-cell polyurethane foam for a total R-value of roughly R-19. Variable speed air-source heat pumps for heating and cooling. Air leakage rates of between 1 and 1.2 air changes per hour at a pressure difference of 50 pascals. 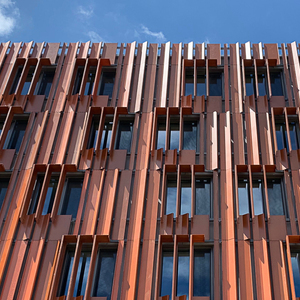 Low-e, double-glazed windows with a solar heat gain coefficient of 0.22 and a whole-window U-factor of 0.34. Grid-tied PV systems with an average rating of 4 kW. The net-zero energy houses range in size from about 1,900 square feet to 2,900 square feet, with costs from about $379,000 to $432,000. HERS scores on the houses average -3. 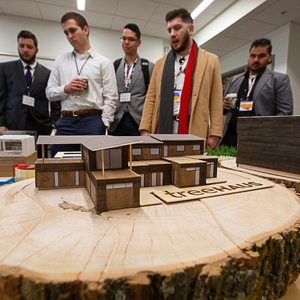 Both of the clusters of net-zero energy houses will be connected to batteries, but in different ways. In the smaller of the two groups, each house will have its own 3 kWh lithium-ion battery provided by Sun Power; in the Yosemite neighborhood, net-zero houses will be connected to a single, larger battery. In each case, batteries are designed to even out the load on the grid over the course of the day, not provide long-term backup power. What worries utilities serving solar customers is something called the duck curve, which represents production and demand for electricity in houses with grid-tied PV systems and their impact on the grid as a whole. During the day, there’s typically an overproduction of electricity, but when the sun fades in late afternoon and PV production falls off there’s a spike in demand as those houses begin drawing on utility power. In chart form, the demand curve looks a lot like a duck. 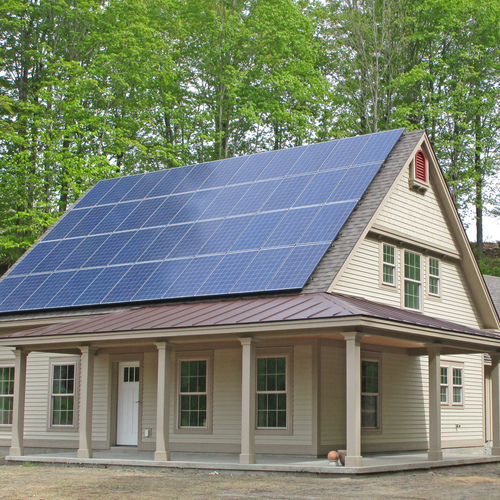 Dividing the houses into two groups — one with residential-sized batteries and another with a communal battery — will help utility researchers understand PV grid integration a little better. But the idea is the same: the excess power produced during the middle of the day can be applied to the grid when PV production declines in the evening. 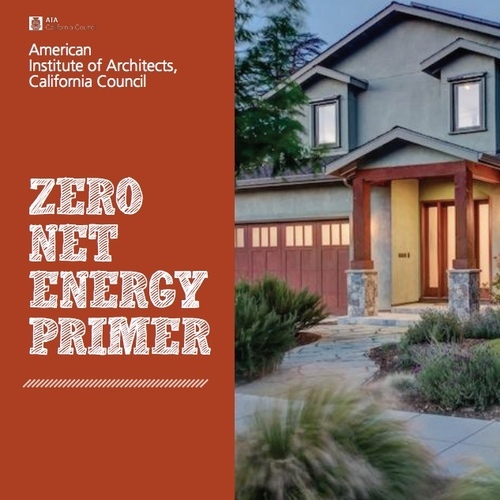 California’s upcoming requirement for net-zero performance represents a big shift in residential building, but at the moment even consumers who are given the chance to buy a net-zero house often don’t. Meritage can offer a net-zero option to any homebuyer in the country for a relatively modest increase in cost, Herro said, but only about 1 percent of buyers take advantage of it. “I don’t think it’s whether they want to or not,” he said, “it’s whether they’re even aware they can have it… If you’re a new home buyer, you’re kind of overwhelmed by location, design, and price, and you’re not yet challenging the homes you’re looking at for these advanced features. You should, but I think it’s really a matter of of home buyer sophistication and the quicker buyers start expecting more from the homes the faster the market will change. “They don’t even know they can have what they can have, so they’re settling for conventional,” he added. A 2,800-square-foot home built by Meritage would typically need about $12,000 in solar panels in order to hit the net-zero mark. When that’s rolled into a mortgage, Herro said, the incremental increase in payments is more than offset by lower energy bills.